Black glass TV stand is one of the most stylish suggestions for LCD plasma TV. In addition, this is a relatively neutral decoration solution that can fit in practically into any modern living room. 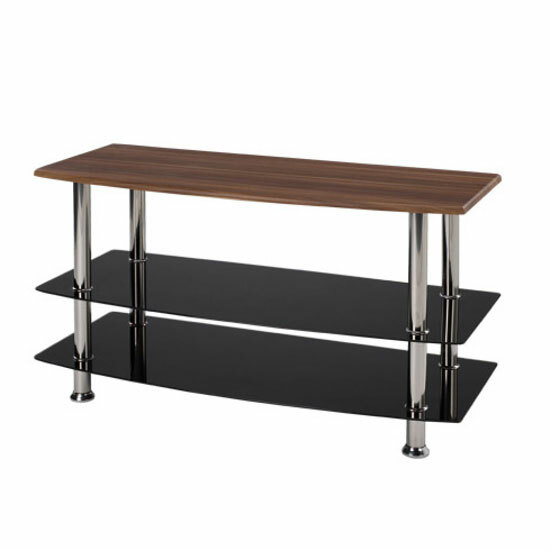 It will look great in combination with any other colors or materials you have in mind, so take a look at some black glass TV stand models. If you do not really need a TV stand, it is also possible to go with a chrome bracket. This is an optimal, the most space efficient solution for small living rooms. Plus, quality chrome TV bracket is durable and can support heavy loads. Another incredibly stylish idea would be to go with a high gloss TV stand with LED lighting. If you want to stay in trend – choose a model with blue highlights. If you would like to have more options in your everyday use, find a model that has up to 5 remotely interchangeable LED shades. 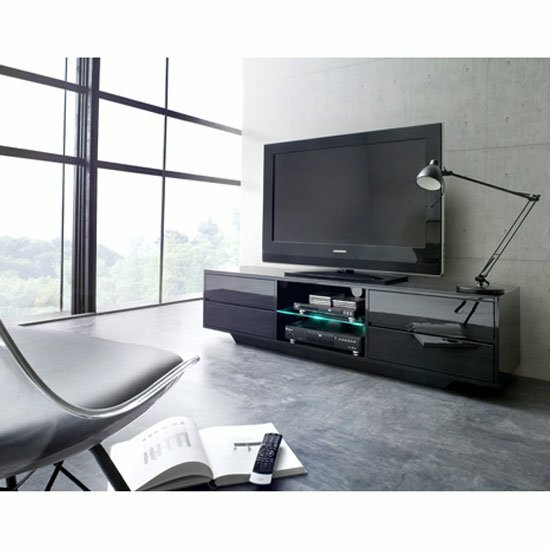 Another great suggestion that combines compact size and additional storage capacity would be to go with wall-mounted TV stands. As a rule, there will be a couple of storage shelves in the lower part of the units and a wall-mount bracket in the upper part. These models come in a variety of materials – from black glass to chrome. If your living room has plenty of other genuine wood furniture in it, it would be better to go with a classic wooden stand. Plus, wood is back in style again, so there will be plenty of different models to choose from. 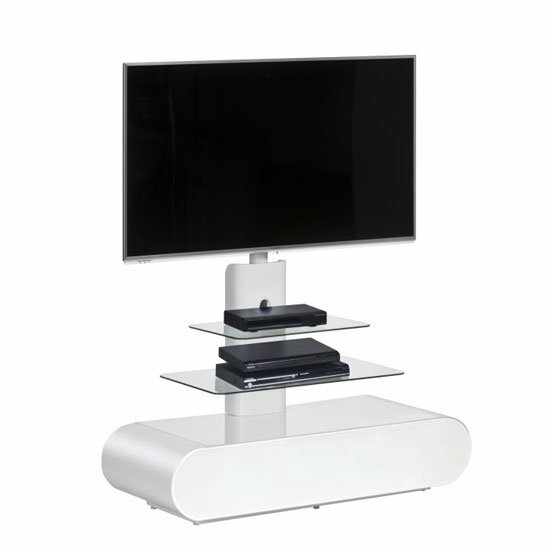 If you are looking for something simple and compact, take a look at hi-fi stands. They usually feature the combination of glass shelves and chrome base. The most standard models are equipped with three compact black glass shelves. And, if you are still looking for a store that can offer you plenty of stylish TV stands for your brand new plasma TV, visit Furniture in Fashion website. This is one of the leading e-commerce platforms in the UK, and you should definitely take a look at their stylish product selection. In addition, this store features a very reasonable pricing policy and constantly introduces new discounts on selected items. Yet, the best thing for the UK residents is that the platform can ensure quick delivery to any part of the country, and it is also possible to visit a showroom in Farnworth any time you feel like examining the products personally.